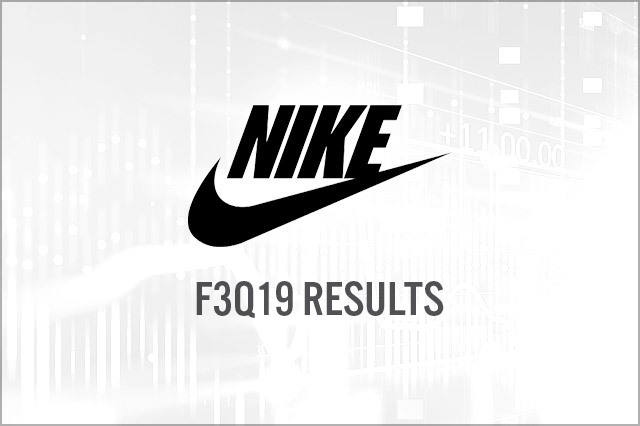 Nike 3Q19 revenues rose 7%, driven by 13% growth for Nike footwear led by Greater China. The operating margin was flat at 13% of sales as gross margin expansion was offset by investment spending in Nike’s transformational initiatives. The outlook for 4Q19 is high-single-digit revenue growth offset by FX, about 75 bps gross-margin expansion and high-single-digit SG&A expense growth.